Go here if you are looking for the Flybaby E-mail list archive. Note: Despite the following paragraph, this project is essentially dead as far as I am concerned. I am still interested in the FlyBaby and like to think that I would eventually build one. But there is no way that a software engineer like myself could pull of such massive modifications such as I have described here. Firewall Forward CAM 125 engine. This is an inline 4 cylinder, water cooled, Honda auto engine with a PSRU. This engine is longer, narrower and slightly heavier than the O-290 engine that Dave is planning on using. It will be somewhat cleaner (no jugs hanging out in the wind), but is going to be a headache with balance and cooling. On the upside, the fuel consumption on is supposed to be better than the O-290 and therefore I may get away with a smaller fuel tank. Center section. I am not sure if I am going to fully cantilever the center section or brace it with a strut. 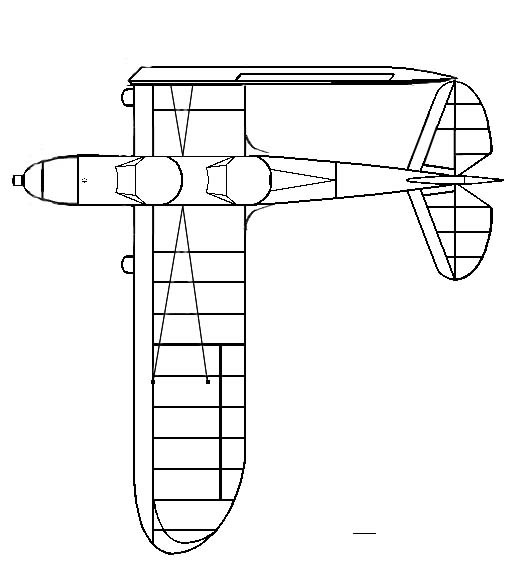 The center section should help in adding in some more wing area, reducing the stall speed slightly. I am going to try to retain the folding wing mechanism of the original Fly Baby, with the wing attachments out at the end of the center section. 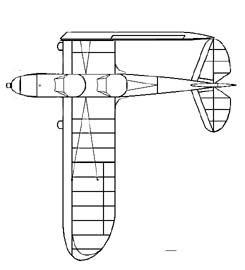 I plan on pretty much using Bowers design for the outer wing panels, although I will follow his suggestions for the "aerobatic" improvements. An electrical system. Hand propping may be ok for some people, but my wife is flat against it (and as clumsy as I am, I'm not so keen on it either). Might as well go whole hog and do lights and radio stack (although my collection of handhelds would probably be much easier). Wheel pants. The STM design seems very functional, but is kinda ugly and fairly draggy. I think I'll cover it all up. A plug and play collection of canopy's. A two holer (with the front hole covered up sometimes) is all I want. However, another of the wife's requirements is an enclosed canopy. Whew! So where am I with this monstrosity? Pretty much nowhere other than backs of envelopes. I have started stockpiling materials (got a great deal on some finnish plywood and spar grade aircraft spruce). I pretty much have to wait until my shop assistant Jake is out of diapers before I can start anything substantial. Questions? Check out the FAQ first and then send e-mail with your inquiry or contributions (I can always use money regardless of denomination).